BOSTON (AP) — The biggest school admissions scandal ever prosecuted began with a tip from an executive investigators were targeting in a securities fraud probe, a law enforcement official said Thursday. 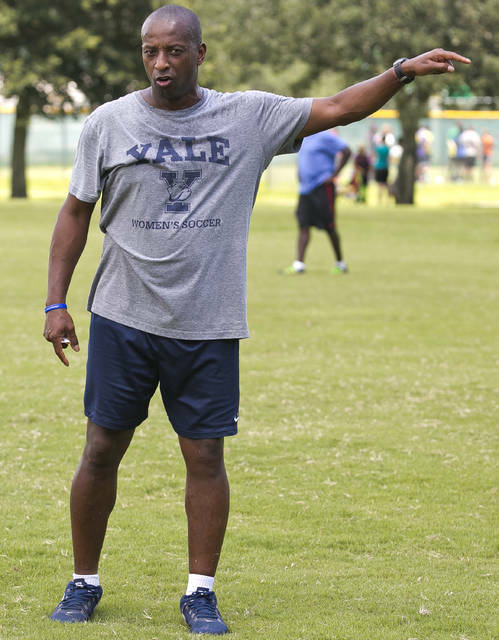 The executive told Boston authorities chasing down the market manipulation scheme that the women’s soccer coach at Yale University said he would label the executive’s daughter as a recruit in exchange for cash, the official said. The official was not authorized to discuss the case and spoke on the condition of anonymity. Investigators recorded a meeting between the executive and the coach at a Boston hotel room in April 2018. During the meeting, which is described in court documents, authorities say Rudy Meredith told the father he would help his daughter get into Yale in exchange for $450,000. Meredith accepted $2,000 in cash in the hotel room and gave the executive directions about how to wire the rest of the money, authorities say. Meredith began cooperating with the investigation that same month in the hopes of getting a lesser sentence, prosecutors say in court documents. 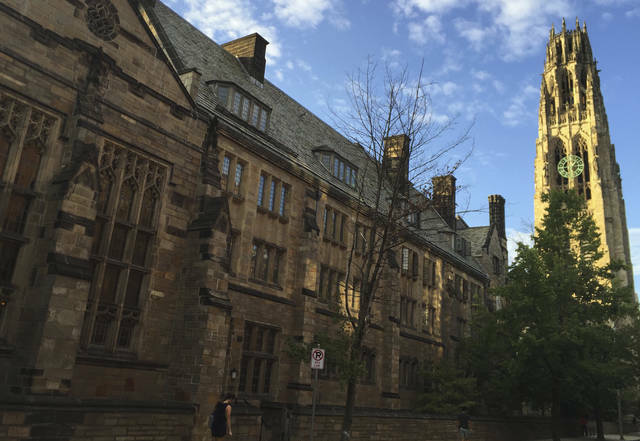 Meredith, who resigned from Yale in November, has agreed to plead guilty to charges including wire fraud. A message was left Thursday on Meredith’s phone. The Wall Street Journal first reported the source of the tip. Authorities have not publicly identified the executive. 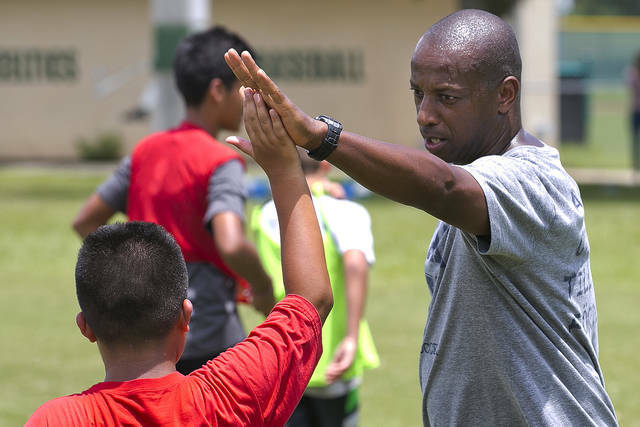 At least nine athletic coaches and 33 parents, many of them prominent in law, finance, fashion, the food and beverage industry and other fields, have been charged in the case. They include Hollywood stars Felicity Huffman and Lori Loughlin. Prosecutors said that parents paid an admissions consultant to bribe coaches and administrators to falsely make their children look like star athletes to boost their chances of getting accepted. Some parents spent hundreds of thousands of dollars, as much as $6.5 million, to guarantee their children’s admission, officials said. The consultant also hired ringers to take college entrance exams for students, and paid off insiders at testing centers to correct students’ answers, authorities say. Massachusetts U.S. Attorney Andrew Lelling has said that the investigation is continuing and that authorities believe other parents were involved. The IRS is also investigating, since some parents allegedly disguised the bribes as charitable donations. The consultant, William “Rick” Singer, pleaded guilty to fraud and conspiracy charges in federal court Tuesday in Boston. Singer’s attorney told reporters that he plans to cooperate fully with prosecutors. Elsa Patricio de Barros, logged in via LinkedIn: What does all this mean for the (cheating) students who have successfully graduated from those universities AND for those universities? They were not good enough to enter on their own but once there they grew a brain? Or the teachers were all bribed as well? Or does all this means what is more likely, that most of those universities are highly inflated and actually provide a piece of paper more than a real education? Disclosure statement: Balthasar Bickel receives funding from the Swiss National Science Foundation. Steven Moran does not work for, consult, own shares in or receive funding from any company or organization that would benefit from this article, and has disclosed no relevant affiliations beyond their academic appointment.